Landslides of the Cincinnati, Ohio, Area; Overview of Landslide Problems, Research, and Mitigation, Cincinnati, Ohio, Area. U.S. Geological Survey Bulletin 2059-A. This 44 page key document is highly relevant to landsliding in the tri-state region. It is believed that this paper document is out of print at the USGS. The paper document has been converted to an Adobe pdf and is a large file (6mb). This document is not available through the USGS in electronic format. The paper fold out maps have not been digitized and are not included with the pdf. The document has color illustrations and summarizes the research to date (1996). 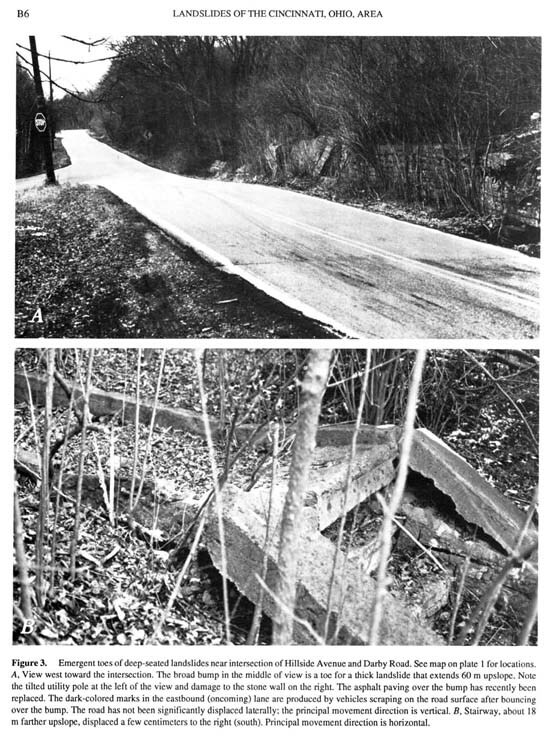 The document references classic landsliding on Huffman Court, Columbia Parkway, Maryland Avenue, Eastern Avenue and other locations. A must read for professionals and interested lay people. This document can be emailed or mailed on a disc to you at a cost of $10. Click here to see map of landslides on Maryland Avenue extracted from the bulletin. Landslides of Cincinnati, Ohio, Area; Landslides in Colluvium. U.S. Geological Survey Bulletin 2059-B. This 29 page document is highly relevant to landsliding in the tri-state region. It is believed that this paper document is out of print at the USGS. The paper document has been converted to an Adobe pdf and is a large file (6mb). This document is not available through the USGS in electronic format. The paper fold out maps have not been digitized and are not included with the pdf. This is a classic reference on colluvial landslides and the morphology of deep seated sliding in the tri-state area. References landsliding on Hillside Avenue/Delhi Pike area. A must read for professionals and interested lay people. This document can be emailed or mailed on a disc to you at a cost of $10. 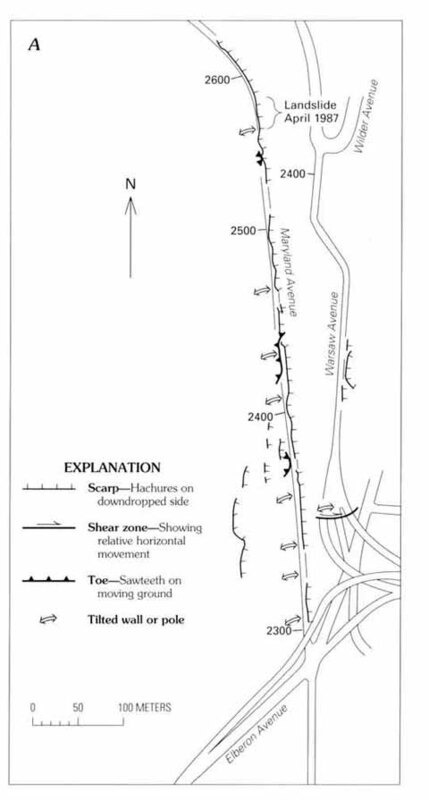 Click here to see an excerpt from the bulletin showing landslide features. Please check back frequently to our e-store as we will be updating this page as our site evolves.